Journalists face intimidation and death in parts of the sub-continent directly in proportion to a rise in political oppression in some countries. The role of the media is not appreciated by leadership in the region’s democracies, and is thwarted in non-democratic states. 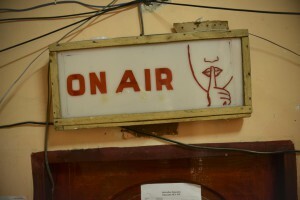 A sign at a radio station in Mogadishu, Somalia. 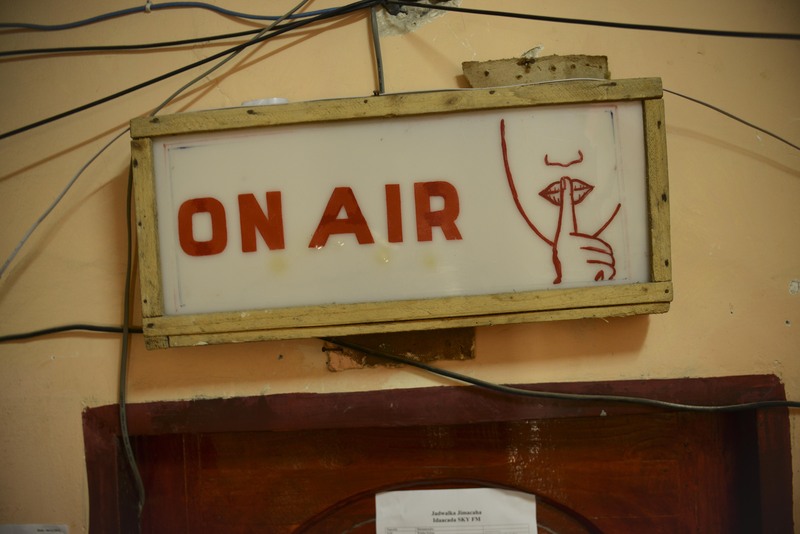 Governments across Africa attempt to silence the media to control their populations and quash dissent, a trend which is becoming more evident in Southern Africa. Of all professions, journalism in Africa requires courage; and the reporter, whether consciously or just doing their job, becomes an activist. Intentional or not, his or her work is progressive, moving the continent forward by providing information. Despots are exposed and incompetency and criminality are revealed, while economic and social advancement is celebrated. Even in countries where democracy is stifled, the impulse of journalists to know what story is important and pursue facts is never entirely quashed.